The theme in Take a Word is SEWING and here it is my try. All elements by Angie Young; font is Ahoy in Stiches. This is just such a great old photo- wonderful piece! Fabulous sewing piece, Christine! Love the little girl! Sweet card with beautiful sewing things, Christine. I adore this intent little seamstress. Great work, Chris! Your layout is excellent, Chris! Love all the detail and the image is precious. 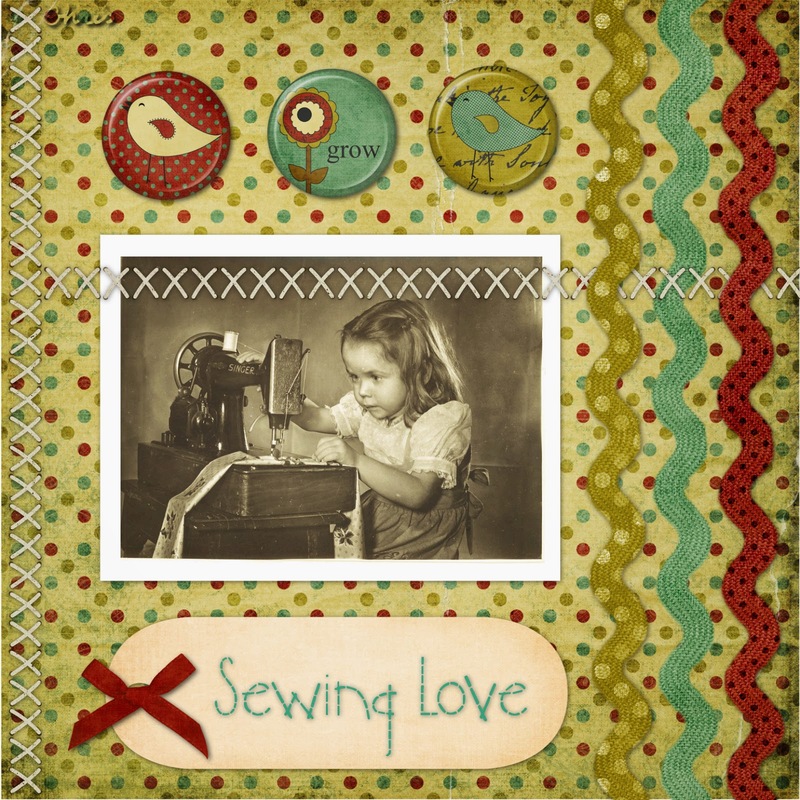 This I love what you did with that picture it is so cute it would make a great sewing room picture. This little sewer is so cute and focused! I love this digiscrap kit, vintage colors and subtle delicateness. You have showcased an adorable image wonderfully!